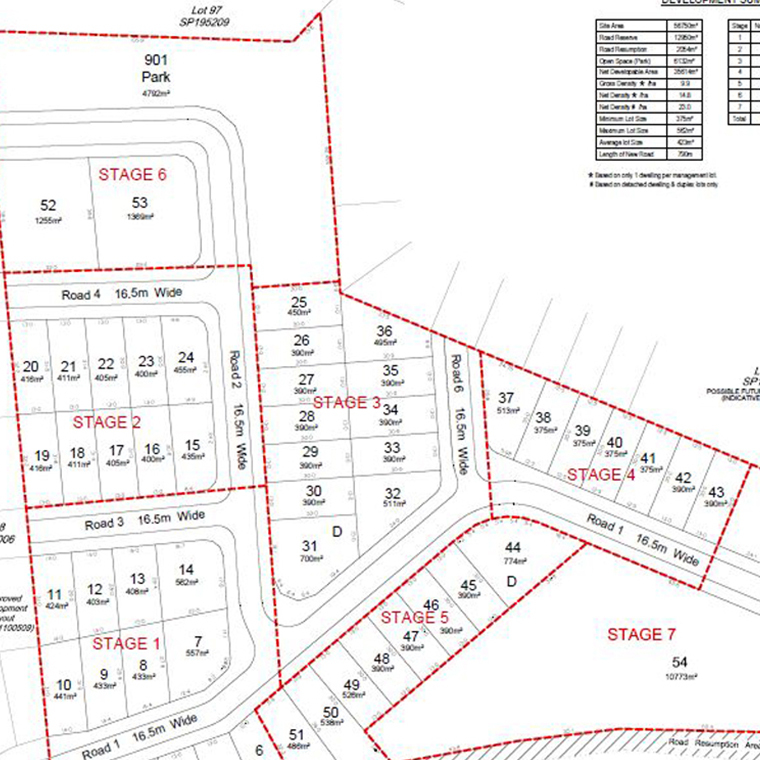 MGS were engaged by the owners of a 5.6 hectare site at Coomera to facilitate a residential development of the site with our role including project coordination, town planning and surveying. Approval was obtained for 54 allotments in 2013 and construction has been steadily progressing with stages 1-5 complete and sold. Approval was subsequently obtained for 14 units in Stage 6 which are nearing completion with MGS completing the necessary strata titling works to enable separate sale of the units. A further development application for units in Stage 7 is currently being finalised for lodgement. Surveying services provided by MGS for this project include initial detail surveys, construction set-out, as-constructed plans, preparation of survey plans and facilitation of survey plan sealing for each stage.